’Tis the season for parties, photos, vacations, time with family, and more! As you prepare for a busy holiday season, don’t forget to schedule your teeth whitening so your smile is bright, beautiful, and camera-ready! Various forms of whitening, whether via in-office treatment, at-home trays, or over-the-counter products, aren’t permanent. However, there are a few simple post-whitening tips that can help you keep your teeth white after whitening for a longer period of time! 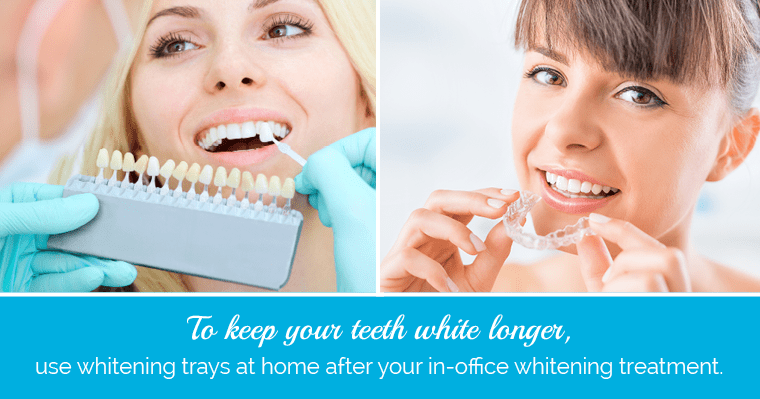 For the longest-lasting whitening, many dentists recommend a combination of in-office whitening followed by use of trays at home. An in-office whitening session can whiten your teeth by several shades in just one appointment, and customized trays and bleach solution can help you keep your pearly whites white longer. Rinse your mouth immediately after eating or drinking. Avoid common staining beverages, such as wine, coffee, or tea. Use a straw when drinking acidic beverages. Enjoy foods proven to be good for your teeth, such as apples, strawberries, celery, and leafy greens. Brush at least twice a day using a whitening toothpaste. Bring a toothbrush and toothpaste with you to be able to brush after meals on the go. 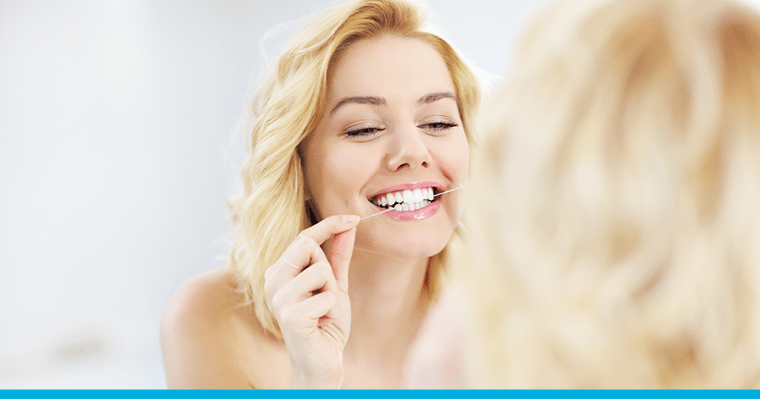 Floss daily to prevent plaque from building up. Additionally, maintain your 6-month checkups and cleanings with your dentist! Regular, professional cleaning and polishing will help keep your teeth white after whitening. During your appointment, your hygienist will polish away surface stains, which will help you avoid discoloration. The dentist will be able to give you personalized recommendations to help you keep your teeth white so you can maintain your gorgeous, confident smile longer!